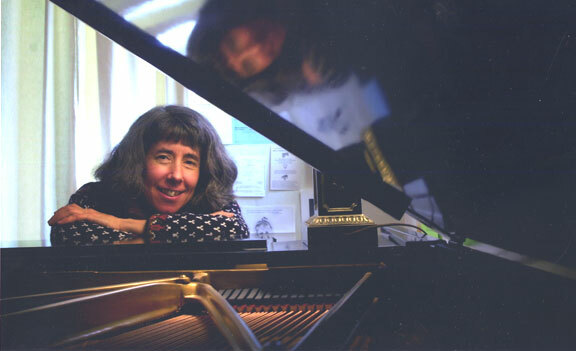 Carol Rankin studied at the Mannes College of Music and received her Master of Music degree with distinction, and Artist Diploma from the New England Conservatory of Music. Her primary teachers were Nadia Reisenberg, Leonard Shure, and Edith Oppens. She has also coached with Eugene Lehner, Blanche Honegger Moyse, Gilbert Kalish, Richard Goode, Gyorgy Sebok, Thomas LaRatta, and Richard Becker. Additional studies in piano and chamber music were at Kneisel Hall, Aspen Music Festival, and Tanglewood’s Chamber Music Fellowship Program for Pianists. As winner of the Frank Huntington Beebe Award for Musicians, she received a grant for one year’s study at the Kodaly Institute in Kecskemet, Hungary. She has studied Dalcroze Eurhythmics at the Longy School and is currently pursuing teacher certification at the Dalcroze School of the Rockies in Denver. Ms. Rankin has been on the faculty of the South Shore Conservatory of Music, the Washington Conservatory of Music, and at the College of William and Mary. She has also taught at New England Conservatory, Regis University in Denver, Kinhaven (a summer chamber music program for young people,) and as a chamber music coach for the Denver Young Artists Orchestra. She maintains a private studio in Denver. Ms. Rankin has performed throughout the United States and in Hungary as a chamber musician, accompanist and soloist. She has appeared in live performances on Hartford television and WNYC radio. She has been a soloist with the Little Orchestra Society of New York, the Hartford Symphony, the Connecticut Symphony, the Susquehanna Symphony, the Mannes College Orchestra, The Lone Tree Symphony Orchestra, and others. In Denver she collaborates frequently with singers and members of the Colorado Symphony Orchestra. She has premiered works of living composers such as Peter Pindar Stearns, Shulamit Ran, and Virginia Samuel. In 2001, with an assisting grant from Bread For the Journey, Ms Rankin founded Upbeat Colorado, a Colorado based 501(c) 3 non profit. Upbeat Colorado brings outreach concerts into schools, daycare centers, hospitals, retirement homes, churches, coffee houses, and other places in the community. In 2015 Upbeat Colorado added to its mission of outreach by providing scholarships for music lessons to low income students to receive high quality music education. Ms Rankin is also a co-founder of El Sistema Colorado in Denver.